Tik Tik Tik (2018) is a tamizh science fiction/thriller film written and directed by Shakthi Soundar Rajan. The film stars Jayam Ravi – who is continuously choosing experimental scripts like Thani Oruvan, Bogan, Miruthan and Vanamagan in recent times so there’s no surprise when he was named as the hero. Renowned Malaysian/Singaporean actor Aaron Aziz and Oru naal Koothu fame Nivetha Pethuraj also play lead roles in Tik Tik Tik. The film is critically acclaimed and also doing very well in the box office. Tik Tik Tik is heavily promoted as India’s first space film. But is it really India’s 1st space film?! 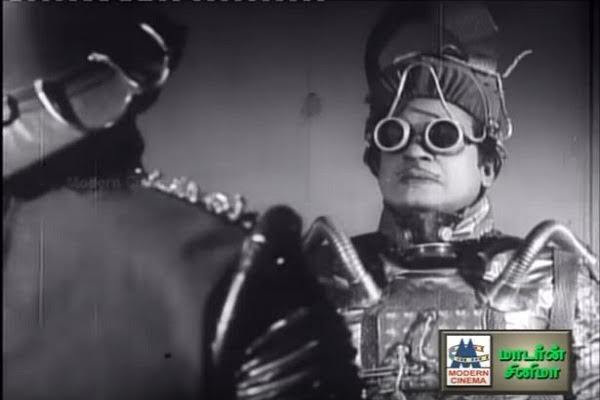 Kalai Arasi (1963), a tamizh film, directed by A. Kasilingam – starring Makkal Thilagam MGR, P. Bhanumathi and Rajasree in lead roles. Produced by Sarodi Brothers, it had musical score by K.V. Mahadevan. The film was released on 19 April 1963 and sadly it was a major commercial failure. The plot is roughly like this: two alien creatures who resemble earthly humans are travelling to the earth on a strange mission. Apparently their planet has made far-reaching strides in science, but is really backward in performing arts so they are coming to earth to find and take back a talented artiste who could teach their planet people music and dance. Even though that 2 aliens have multiple of candidates to choose they were mesmerised with Vani’s performance and decides that she would best suit their purpose. Then they abduct her to their planet and the rest you may find out from the film itself. 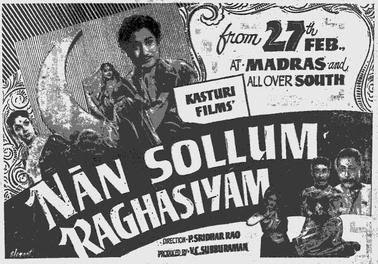 Naan Sollum Ragasiyam (1959) is a Tamizh film which is directed by P. Sridhar Rao and produced by V. C. Subburaman. The film consist of Nadigar Thilagam Sivaji Ganesan, Anjali Devi, K.A. Thangavelu and evergreen comedian J.P. Chandrababu in lead roles. G. Ramanathan composed music for this film. The film’s plot is about a scientist who build a space ship at his backyard and in a urgent need of person to be a passenger so he can test the ship. Since he’s the only one who understands the system, he has to be there back on earth when the ship is out in space. Eventually he meets a boy who has an extraordinary problem. His mom has this weird disease which can only be cured by soil from the moon. Yeah we know it’s illogical but hey, we’ve set an “international spy thriller film” with a 100 crore budget where Ajith would be talking in Tamizh to a bunch of European mercenaries so why not. 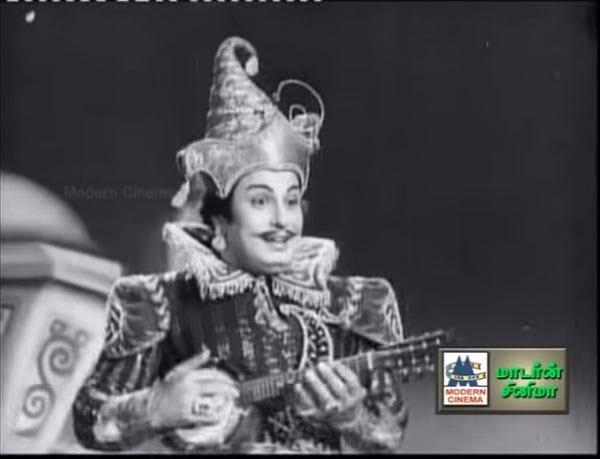 So Sivaji decides to send the kid to the moon using his space ship. Rest of the story?! Watch the film. Previous articleBGW’s Neeyum Naanum Rumoured To Hit Theaters In September!